Glo, The Polyphonic Whale uses interactive technology to transform the sounds of your world into a melodic ambient soundtrack. 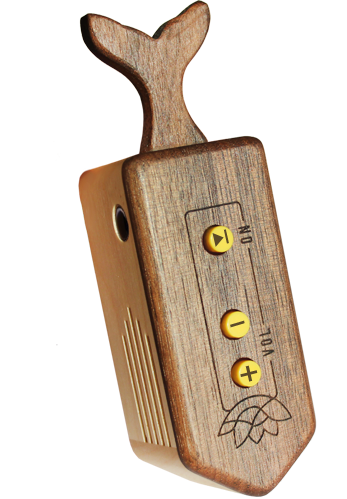 Relaxing, meditative and fun, it matches your mood with the push of a button. And do not forget to subscribe for the newsletter to stay updated! Glo works by collecting all surrounding noises, pleasant or annoying, and wrapping them in a beautiful ambient track, which you can interact with in many ways. First, pick a channel to set the background rhythm. Then sing, tap, hum, go for a walk in a busy city, coastline or a forest full of singing birds - using Glo's sensors and musical algorithms to interact with it all. Feel the vibes of Mother Earth. Polyphonic Whale has very sensitive microphones able to pick up the faintest noise. Environmental sounds instantly mix with an organic background tune, resulting in beautiful ambient music. 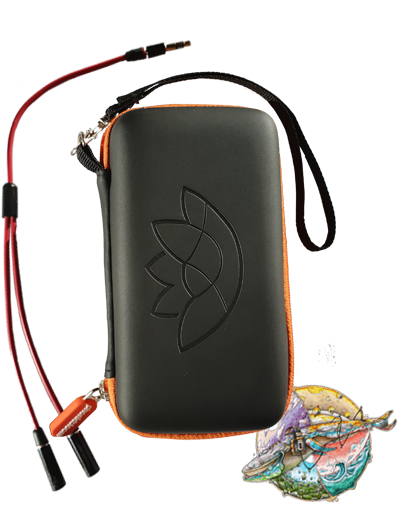 Choose from various channels, each with a unique sound texture inspired by nature. We designed Pocket Whale without any screen - good for you and your children's eyes - while keeping it highly interactive. There is just one button to switch it on and select your channel, and two more to adjust volume levels in your headphones. Using a 3‑way motion sensor and a pair of sensitive microphones, it creates musical soundscapes that change and morph as you move Glo through the air. Every channel is set up with a different background texture and rhythm that interact with sounds around you in a different way. To switch between them, simply press the ON button repeatedly. The channels have been created to aid relaxation, hear nature or the city in a fun new way, or to help you find a place of inner peace. Interaction with this special kind of music helps you to improve focus, concentration and cognitive skills in an easy way. It is an amazing feast for your brain, very creative and almost therapeutic experience. Pocket Whale is battery operated and small enough to be with you everywhere you go. Explore the world in a new, amazing way. The Glo experience is totally different to passively listening to music. You are the part of the composition, where the people, things, animals and elements around you are the performers. Glo can be your calming companion when the noise of the city is stressing you out or distracting you from your work. There are four basic soundscapes or "channels". Each one has a different rhythm and background texture, inspired by one of the elements: Earth, Air, Water and Fire. Forest with birds, howling wind, murmuring creek and a pleasant crackling of the fireplace. A musical theatre, designed to invoke different emotions. Whale is aware of its orientation in 3D space. To make your track even more interesting, variations are introduced, depending on roll, yaw and pitch. 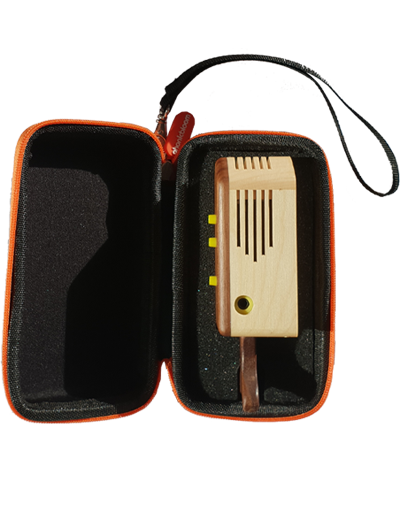 The case is made from a combination of maple and American chestnut wood with an eco-friendly beeswax finish. No need to worry if your toddler chews on it - it's both durable and non-toxic. In the heart of the whale ticks a powerful dual‑core signal processor, as found in many digital synthesizers. 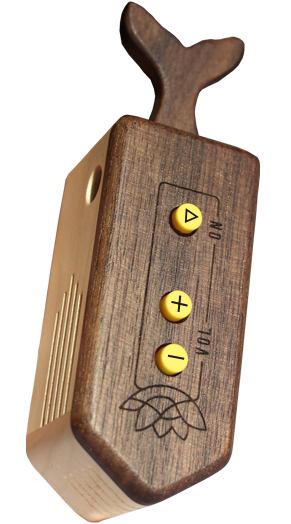 We also included a dedicated high quality, low noise audio chip to handle inputs and outputs to ensure nothing is lost when Glo sings. 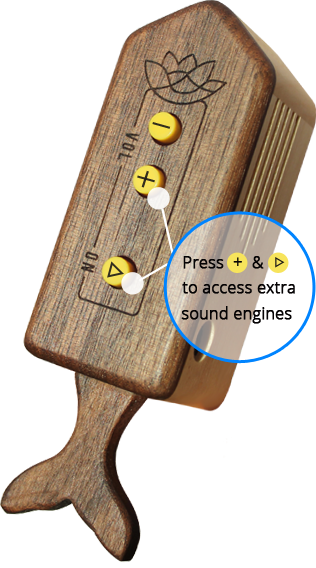 It is very easy to grasp the controls and understand how different movements translate to sound effects and variations. You don't need to be a musician to play it, you will be in a full control of the soundscape in no time, however the mighty whale may have a surprise for you here and there. Apart from the four elements-inspired channels, we are implementing a few experimental sound engines. This might be interesting for you if you compose music or enjoy taking field recordings. Full bypass mode is available too, use the whale as a sensitive stereo microphone. 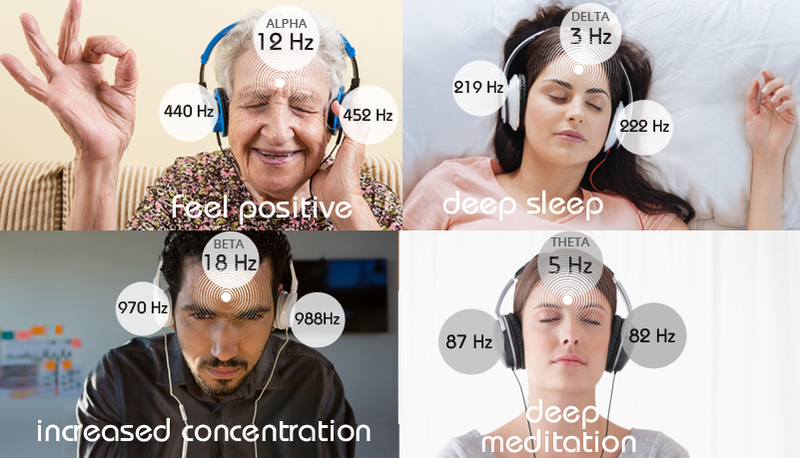 To make the interaction with Glo more therapeutic, we added binaural beats to help achieve deeper meditation. They are proven to reduce stress, increase confidence, improve quality of sleep and mood in general. 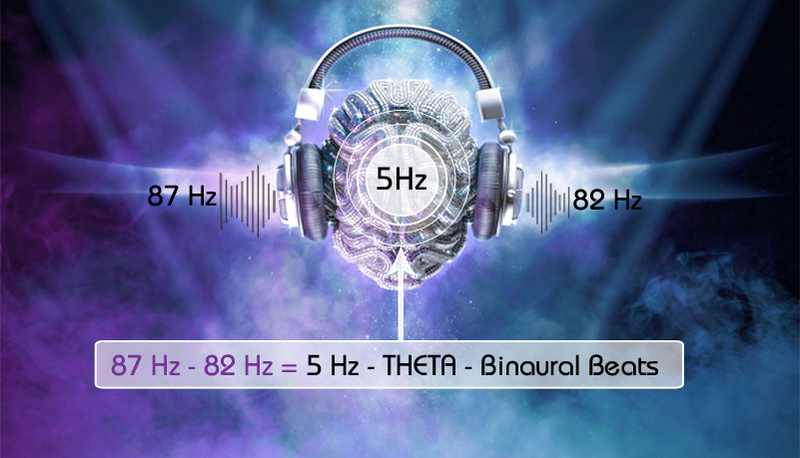 If you want to give your brain a special treat, enable the binaural beats mode by holding the 'ON' button for 4 seconds. We recommend you use this option sitting or lying down with your eyes closed. Do not overdo it if you are just starting, it is quite a workout for your brain and you need to give it time to adapt. Just 10 minutes is enough in the beginning. To switch back to the normal mode, just press the 'ON' button once again. Sign up for the newsletter to not miss any news! Copyright Phonicbloom © 2018. Dublin, Ireland. Please note that delivery timeframe for this product is 1-2 months. The production was funded with Kickstarter, and we are currently in the process of manufacturing Glo for all our backers and new customers. By pre-ordering now you will reserve your place in line when it comes to shipping.